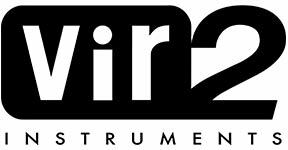 For more information about Vital Series: Mallets visit Vir2 Instruments. 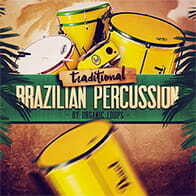 Mallets' powerful GUI offers all eight instruments on one patch to be edited, played, blended, and recorded together. No sub menus or separate patches. Mallets has all the controls you need at your fingertips! 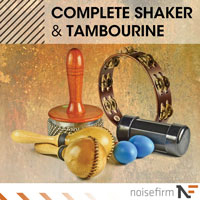 The highest attention to detail was given in the recording of Mallets, offering dry, stereo samples with up to 4 velocity layers and 5 round robins per instrument. 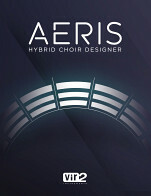 Each instrument is given its own controls with Mallet Type, Volume, Pan, Stereo Width, Octave Remapping, ADSR, and Extended Range. When engaged, Extended Range remaps the playable range of the instrument by stretching the lowest and highest mapped samples from C0 to C7. Additionally, Octave remapping gives users the ability to adjust the position of each instrument on the keyboard up and down by two octaves. Utilize the lower portion of the GUI to quickly apply your own LFO and global LowPass filter. Choose between four separate wave forms and four different LFO types. The Rolls creator allows you to generate and customize your own mallet rolls. Triggering one note will simulate two hands striking that single note, while triggering two notes will simulate the back and forth striking with two hands on the respective notes. Further craft your sound with the seven built-in effects including Tune, Equalizer, Distortion, Delay, Reverb, Transient Master, and Compressor. 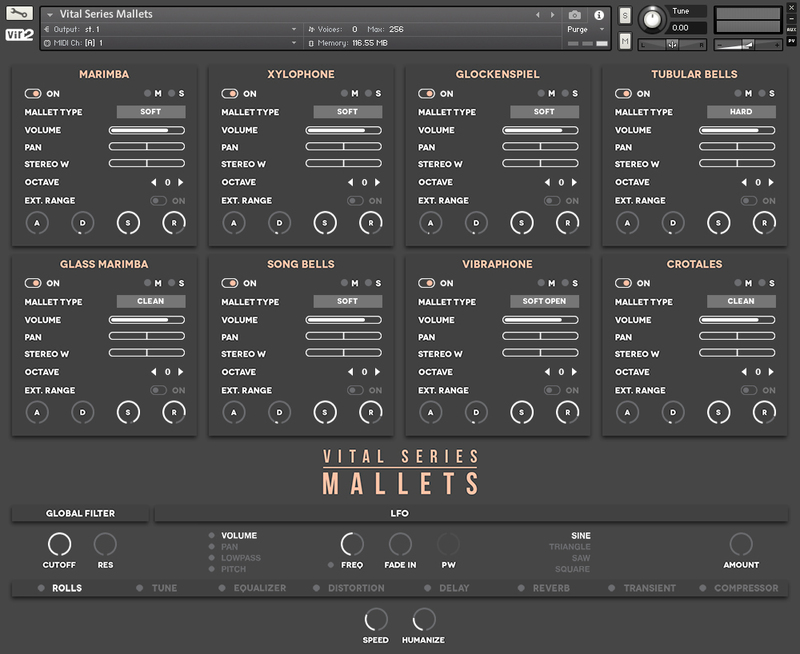 Vital Series: Mallets has been designed for seamless integration with the KOMPLETE KONTROL S-Series and Maschine, offering you a unique hands-on experience. Manipulate Mallets' interface using the controls of all NKS compatible hardware. 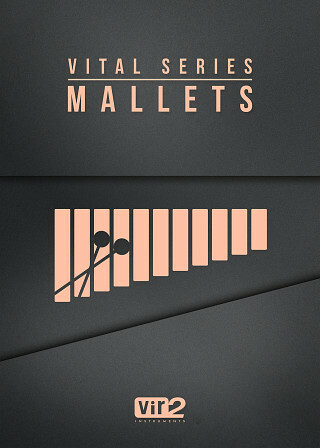 The Following End User License Agreement is included with Vital Series: Mallets. This License is only valid for the individual who has purchased an unopened, new and lawfully made copy of Vital Series: Mallets from a dealer or distributor authorized by Big Fish Audio. The first in Vir2's mysterious new Vital Series of Kontakt Player libraries is a bank of eight multisampled tuned percussionon instrument modules: Marimba, Xylophone, Glockenspiel, Tubular Bells, Glass Marimba, Song Bells, Vibraphone, and Crotales.